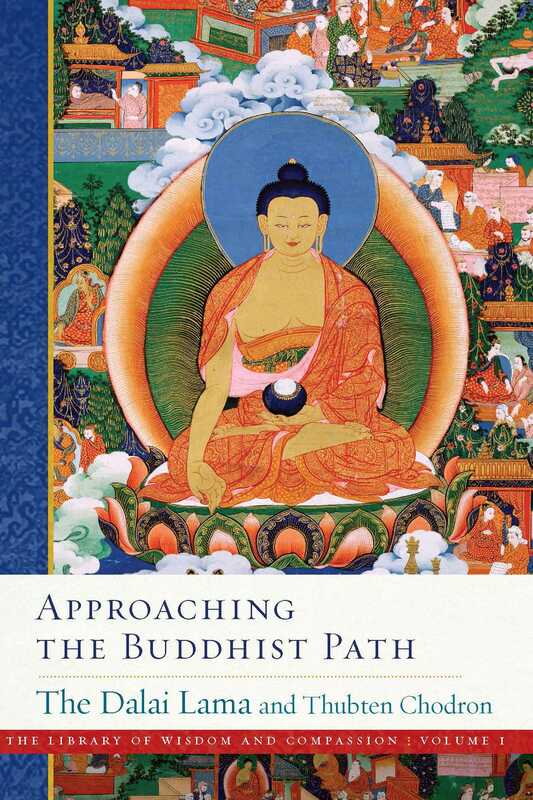 The first volume in a multi-volume collection presenting the Dalai Lama’s comprehensive explanation of the Buddhist path. His Holiness the Dalai Lama has been publicly teaching Buddhism for decades. This series collects his presentations of every step of the path to enlightenment, compiled and coauthored by one of his chief Western disciples, the American nun Thubten Chodron. The Buddha wanted his students to investigate, to see for themselves whether what he said were true. As a student of the Buddha, the Dalai Lama promotes the same spirit of investigation, and as the rich tradition of the Buddha makes its way into new lands and cultures, His Holiness has recognized that new approaches are needed to allow seekers in the West to experience the relevance of the liberating message in their own lives. Such an approach cannot assume listeners are free from doubt and already have faith in Buddhism’s basic tenets. The Library of Wisdom and Compassion series, therefore, starts from the universal human wish for happiness and presents the dynamic nature of the mind. This first volume also provides a wealth of reflections on Buddhist history and fundamentals, contemporary issues, and the Dalai Lama’s own personal experiences. It stands alone as an introduction to Buddhism, but it also provides a foundation for the systematic illumination of the path in the volumes to come. The Library of Wisdom and Compassion collects the Dalai Lama’s decades of presentations of every step of the path to enlightenment. It has been compiled and coauthored by one of his chief Western disciples, the American nun Thubten Chodron. “Continuing the fruitful collaboration they began with Buddhism: One Teacher, Many Traditions, H.H. the Dalai Lama and Ven. Thubten Chodron here provide the perfect entry-point for people drawn to the Buddhadharma but uncertain how to understand and practice it in a modern context. Like the great Lam Rim (stages-of-the-path) texts of Tibet, Approaching the Buddhist Path guides readers toward the Dharma by directly addressing their own values, interests, and qualms, utilizing wisdom, sensitivity, and humor to pave the way for confident engagement with the Buddha's teaching. As the debut volume in His Holiness and Ven. Chodron's 8-part Library of Wisdom and Compassion series, Approaching the Buddhist Path leaves us both richly satisfied and anticipating with delight what will come next.